Can Argentina’s New Government Deliver Justice for Its Victims of Iranian Terror? Mauricio Macri has started off his presidency by signaling a major change in economic and foreign policy, and by confronting his country’s demons. How far will he go, and who will try to stop him? 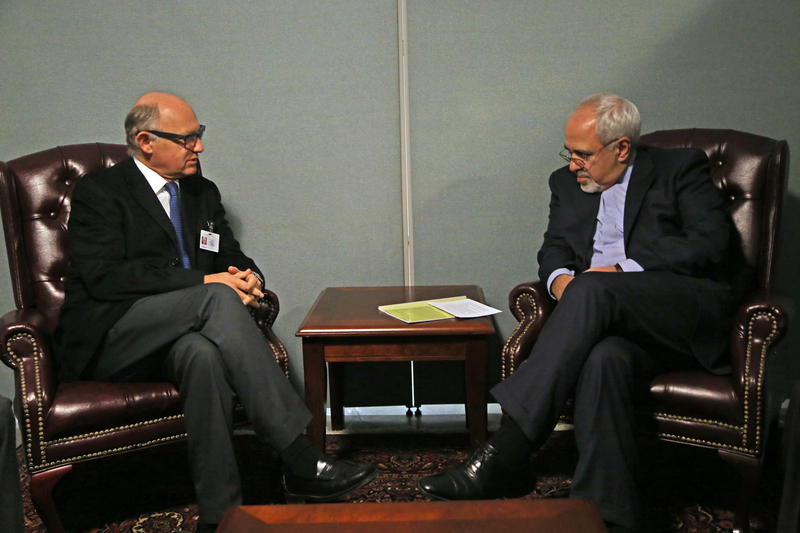 Iran’s foothold in Latin America was profoundly shaken as 2015 drew to a close. The surprise victory of the pragmatic centrist Mauricio Macri in the Argentinian presidential election in November, followed by the resounding triumph of the democratic opposition in the legislative elections in Venezuela in December, mean that the Tehran regime’s influence on two of the region’s most important countries has been abruptly curbed. Iran had enjoyed the perfect ally in the late Venezuelan comandante Hugo Chávez. Motivated by a visceral hatred of all things American (except baseball), Chávez embraced the Shi’a theocracy in distant Tehran as Venezuela’s main global ally, cementing alliances at the same time with other regimes distinguished by their foul human rights records, among them Sudan, Zimbabwe, North Korea, Russia and China. 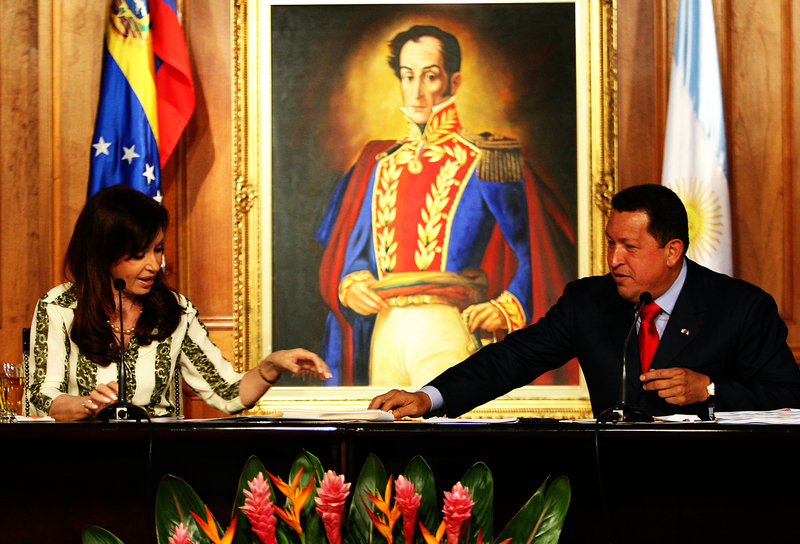 Chávez wasn’t just looking for ideological soul mates, however. These alliances enabled him to purchase sophisticated military hardware in order to keep the Venezuelan military happy. Ditto for the state trading partners offering rich pickings for those Venezuelans with the right connections – the so-called boliburguesía, the new business elite that sprang up under chavista rule. Chávez also encouraged other Latin American countries, among them Bolivia, Ecuador and Argentina, to move closer to the Iranian fold. Argentina was certainly the most significant of these, given Iran’s role in the bombing of the AMIA Jewish center in Buenos Aires in July 1994, in which 85 people were murdered and hundreds more wounded. During the tenure of President Néstor Kirchner, from 2003 until 2007, Chávez didn’t get very far. Kirchner, after all, was insisting on the extradition of the six Iranian suspects in the bombing. He’d also appointed a combative federal prosecutor, Alberto Nisman, to head a renewed investigation into the AMIA atrocity. But Kirchner’s death in 2010, three years into his wife Cristina Fernández de Kirchner’s first term as president, allowed Chávez a fresh opportunity. It wasn’t long before she succumbed to Chávez’s overtures, much to the delight of the coterie of the opportunists and anti-American elements she had gathered around her. In January of last year, Nisman was found shot dead in his apartment four days after making a formal complaint against President Fernández de Kirchner and a number of her most senior officials, in which he accused them of using the pact to cover up Iran’s culpability for the AMIA bombing. Over the last two months, new evidence has emerged that supports this thesis. 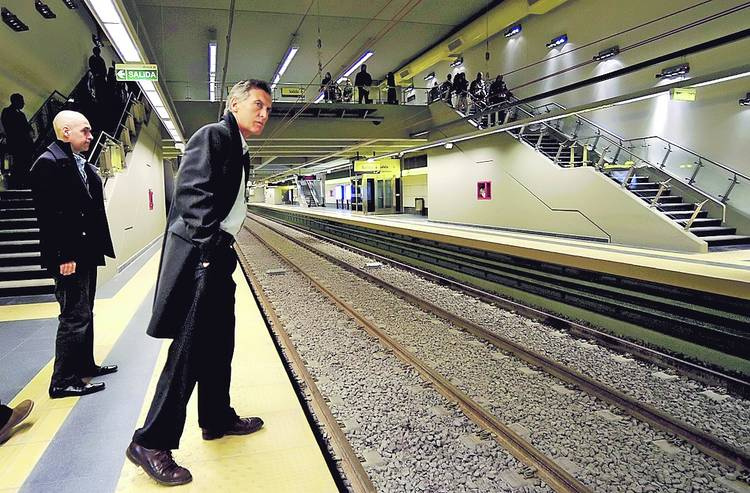 All eyes, therefore, are on Macri’s next steps. Macri has abandoned his predecessor’s attempts to fight a court ruling that the pact with Iran was unconstitutional. The country’s highest criminal appeal court accepted Macri’s decision; if he hadn’t dropped the appeal, one of the judges had intended to rule that in negotiating the pact, Fernández de Kirchner and former Foreign Minister Héctor Timerman had allowed Iran to undermine Argentina’s national sovereignty. This has led to an opening step being taken to charge Timerman with treason. Not by coincidence, Macri’s willingness to expose his predecessor’s complicity with Iran has been accompanied by a worsening in relations between Argentina and Venezuela. After his victory, Macri repeated his election pledge to invoke the so-called “democracy clause” against Venezuela in the agreement governing the Mercosur trade bloc of six South American countries, due to the extensive and well-documented record of human rights abuses by the chavista regime. Invoking this clause would be the first step towards expelling Venezuela from Mercosur, by extension marking another significant reversal for Tehran. At the Mercosur leaders’ summit in Paraguay on December 21, Macri made no further mention of the “democracy clause,” but he did make a clear call for the release of political prisoners in Venezuela, a sharp change in direction from the mutual congratulation that has characterized these events up to now. Venezuelan Foreign Minister Delcy Rodríguez responded with an accusation that Macri was interfering in the “internal affairs” of her country – the classic defensive move of authoritarian regimes, one also used by the blood-soaked dictatorship that governed Argentina from 1976 to 1983. The chief point is this: Whatever Macri does from now on is probably less important than what he has said. His words have broken the magic spell of complicity between Buenos Aires and Caracas – a spell that in any case was never quite the same following the death of Chávez and his replacement by the brutish Nicolás Maduro. Nearly a year after Alberto Nisman’s body was discovered in suspicious circumstances, his death remains shrouded in mystery. The official investigation has produced no definitive findings so far, though the previous government’s wish to portray his death as a suicide was more than obvious. The new Justice Minister, Germán Garavano, is going to revive a dormant secretariat within his ministry dedicated to investigating the AMIA massacre. Tracking the separate but related investigation into Nisman’s death will also be added to its responsibilities. Mario Cimadevilla, the secretariat’s head, has stated that President Macri has instructed him to “go to the bone” with the AMIA investigation. The change in government has emboldened Judge Fabiana Palmaghini, who up to now had been in formal charge of the investigation into Nisman’s death, to remove the indolent Viviana Fein from leading the probe. Palmaghini has ordered a number of fresh investigative measures to be taken, including a search for the whereabouts of former spy chief Antonio “Jaime” Stiuso, whose removal by President Fernández de Kirchner is believed to have been one of the factors precipitating Nisman’s death. 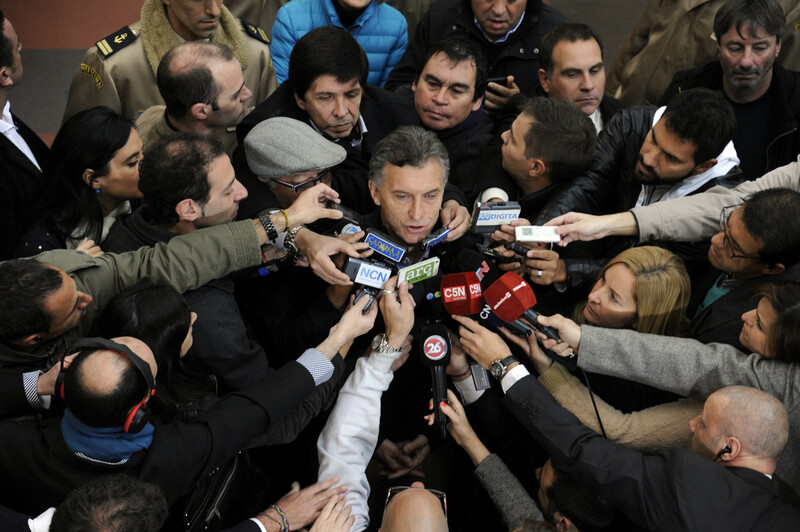 Even if Macri is determined to find out what really happened to Nisman, there are a number of obstacles in his way. The initial contamination of the scene of Nisman’s death, carried out by those appointed to investigate it, would make it very difficult for an honest process to reach firm conclusions. Perhaps more encouragingly, according to the newspaper La Nación, the new secretariat will send a bill to Congress which, if passed, would allow the AMIA fugitives to be tried in absentia. This would at least provide some sort of closure for the families of the victims. Given that Macri lacks a majority in both houses of Congress, it remains to be seen whether he could get such a bill passed into law. And even should it be passed, questions have been raised about whether such a law would survive a test of its constitutionality, because it might breach Argentina’s prohibition on retroactive legislation. Justice Minister Garavano has also spoken of the possibility of seeking the agreement of the Iranian authorities for a Lockerbie-style trial of the fugitives in a third country. However, it seems hard to believe that he thinks this is a serious possibility, given the nature of the Iranian regime and its attitude to the AMIA Massacre. A federal prosecutor has taken an initial step towards a proper investigation of Nisman’s complaint against President Fernández de Kirchner and others concerning the negotiation of the pact with Iran. However, the first hurdle comes in the form of Judge Daniel Rafecas, who has refused to open an investigation based on Nisman’s case against the former government. Any attempt to pursue Nisman’s complaint will need to be approved by Rafecas. Should he decline again, there is the prospect of a lengthy appeals process. Considering the recent revelation that the former Argentine foreign minister knew that Iran was responsible for the bombing even as he was negotiating with Tehran to supposedly “investigate” it, Rafecas may run out of excuses for not opening an investigation. The deep state’s origins lie in the several periods of military dictatorship with which Argentina was plagued in the 20th century. Its most fundamental role is the gathering of “intelligence,” understood here not as the legitimate collection of information by states for the purposes of national defense, but rather as a means of exercising control within a country’s borders by accumulating information about the public and private lives of prominent individuals, in order to pressure them into a particular course of action. In the case of Nisman, the pressure came after his death, through a campaign to blacken his name in the court of public opinion and compromise his family and supporters. Photographs showing Nisman, a divorcee with two children, drinking in bars with attractive young women were plastered across the internet and on walls in Buenos Aires. Accompanying these were unsubstantiated allegations concerning his personal finances. This has led to Nisman’s mother and sister being investigated for money laundering, doubtless with the intent of discouraging them from pursuing the truth about his death. At the heart of the Argentine deep state is the Agencia Federal de Inteligencia (AFI). The two appointments that President Macri has made at the top of the agency do not suggest that it will be subjected to any meaningful accountability for the time being. The chief of AFI, which gathers information on prominent Argentine citizens with virtually no executive or parliamentary oversight, is Gustavo Arribas. A notary by profession, Arribas worked for many years with Macri in the administration of the popular soccer club Boca Juniors – a major institution in Argentine life, and an experience that has left him familiar with Argentina’s soccer hooligan gangs and their main source of income, extortion rackets. AFI’s number two is Silvia Majdalani, a Congressional deputy from Macri’s party. Majdalani makes up for Arribas’ lack of direct experience in the world of intelligence through her close personal associations with the old guard of the AFI, which was ousted by Cristina Fernández de Kirchner in December 2014. Macri has other personal connections with the deep state. When he was mayor of Buenos Aires, his first choice to lead the newly-created Metropolitan Police was a controversial former Federal Police officer named Jorge “El Fino” Palacios, at one time the head of that body’s anti-terrorist unit, and currently on trial for his involvement in the first corrupt AMIA investigation, which took place under President Carlos Menem. Macri’s connections with Palacios go back at least to the time he appointed him as head of security at Boca Juniors in 2004. They may go back even further, to when Macri was kidnapped for two weeks and held for ransom in 1991. 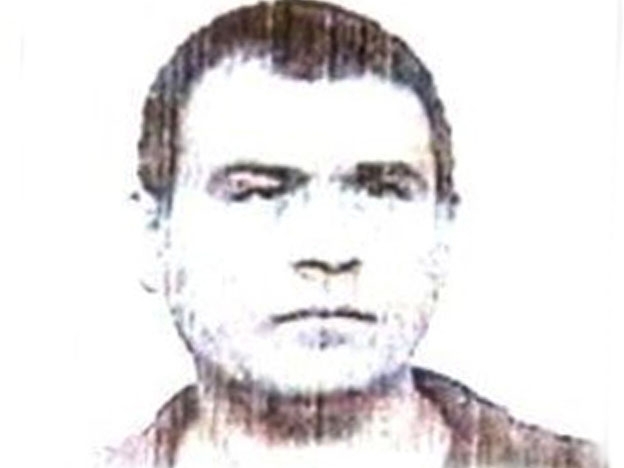 The kidnapping gang was led by police offers, and rumors have never stopped circulating about the involvement of Palacios. Macri’s justification for naming Palacios to head this new force is also worth noting. 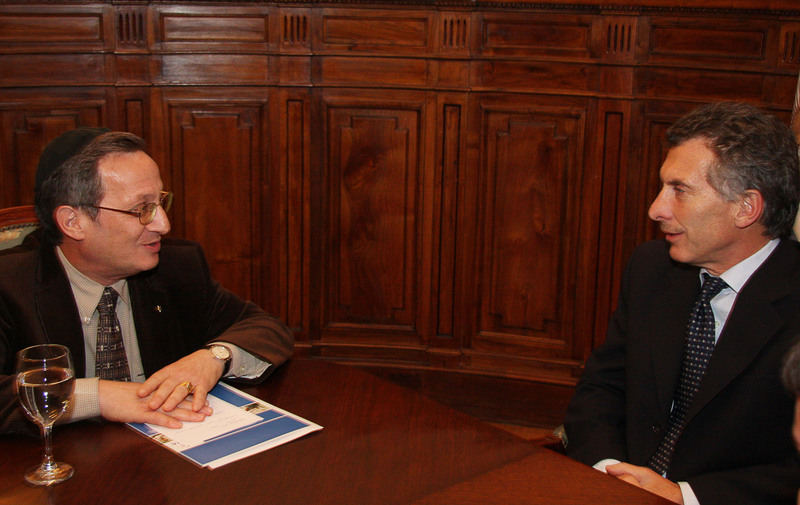 In remarks to Jewish leaders, Macri denied that Palacios had any connection with his kidnapping, adding that he selected Palacios after sending a subordinate to learn from foreign intelligence agencies – the CIA, the DEA, and the Mossad are mentioned specifically – about their preferred candidate for the job. He also says that the American and Israeli embassies were consulted about the decision, and that they and all the intelligence agencies recommended Palacios. Macri’s remarks here are indicative of three beliefs, none of which do him much credit. The first is that Argentina is a very important country on the international stage; foreign nations and their intelligence services might, therefore, have reason to be interested in the best candidate to head a municipal police force with limited legal powers. The second is that Israel is a country with vast global reach and influence, on a par with that of the United States, one whose foreign intelligence service might have something useful to say about municipal policing in Buenos Aires. And the third is that canvassing the opinion of foreign countries and intelligence agencies regarding municipal appointments might be a legitimate activity for an Argentine mayor. Of course, in Macri’s defense it might be argued that he was simply trying to flatter a largely Jewish audience. If so, it’s impossible to imagine him in a similar setting, for example by justifying the appointment of an Anglo-Argentine on the basis that he or she had received the approval of the British Embassy and MI6. Macri has only been in office since December 10. While there have been hopeful signs about his willingness to establish what really happened to Alberto Nisman, his appointment of Arribas to head the AFI, as well as his relationship with a senior police officer whose reputation has already been tarred by the AMIA investigation scandal, suggest that his undeniable good intentions will be obstructed by the dense reality of power politics in Argentina.